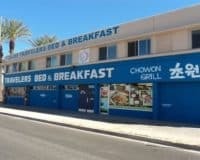 This City Center Motel, 700 E Fremont Street, is a great place for people visiting Vegas, who want to be at the heart of the action, yet don’t want to break the bank. 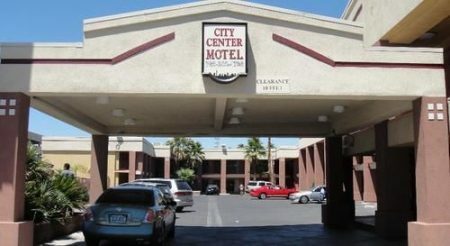 The City Center Motel, in Downtown Las Vegas, does precisely what it says on the tin, offering cheap affordable accommodation in the center of Vegas. If you are looking for luxury then it probably isn’t the place for you, however, if a functional, cost-effective and well-located hotel is what you are looking for you, then it may be the place for you. 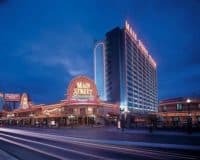 It is situated a short walk from the world-famous Las Vegas Boulevard, in the equally well-known Fremont East Entertainment area, the kind of place where anything is possible, and you will be able to sample some of Las Vegas’ legendary nightlife. The rooms at the City Center Motel are spartan but functional, including a coffee maker and cable television, along with comfortable rooms and adequate bathroom facilities. Yes, it is not opulent and luxurious, however, they are precisely what you would expect in a motel: clean and manned by a friendly staff. This hotel is a great place for people visiting Vegas, who want to be at the heart of the action, yet don’t want to break the bank on accommodation. 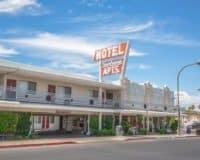 It may not be luxurious; however, the price is cheap and it is cost-effective, which is the principal reason that people book motels.